With the launch of the Smart Home portfolio in the UK, German electronics firm Bosch is looking to smarten up your home and turn it into an intelligently networked fortress. The new range of products includes indoor and outdoor cameras, an indoor climate monitoring kit and more. To coincide with the launch, Bosch has conducted its own surveys and reveals new research that more than half of Brits worry about their home security, returning to check the doors are locked and lights are off over 3,000 times in their lifetime. So if you're feeling a little worried in these new times, you could invest in 360-degree Indoor Camera, Eyes Outdoor Camera or a Motion Detector Kit. 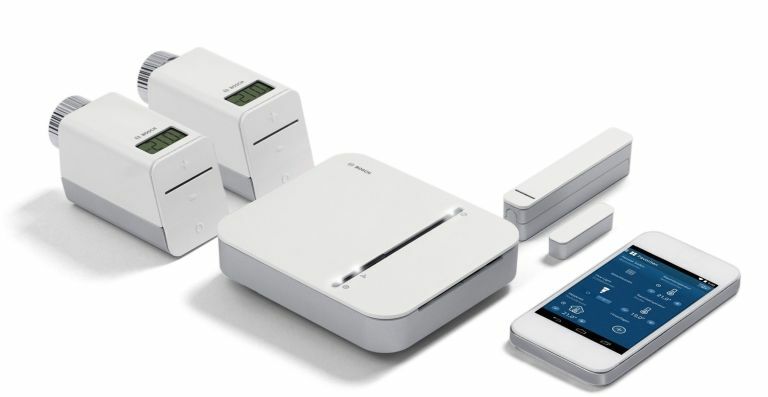 In fact, Bosch even offers a Security Starter Kit if the idea of smartening up your home feels a little overwhelming. The set includes a door/window contact, motion detector, smoke alarm and Smart Controller to provide the optimal combination of Bosch Smart Home products for an alarm system. The range includes the Smart Home controller, Indoor Climate Starter Kit, Radiator Thermostat, Door / Window Contact, Smart Plug, Twinguard Smoke Alarm with Air Quality Sensor, Twinguard Smoke Alarm with Air Quality Sensor Starter Set, 360° Indoor Camera, Eyes Outdoor Camera, Smoke Detector, Motion Detector and Security Starter Kit. Sometimes you just need a bit of decadence in your life. And what better way to embrace the good things in life than adding a pedestal made of solid marble to your office. That's right, the Block from de Dolomieu is carved from genuine Italian marble before being polished and reshaped in Germany. It's basically the most opulent way to move from home on an Apple notebook, with each slab being, "unique, hand-selected for its characteristic beauty of bold veining and intricate patterns." Each one goes through a seven-hour transformation involving heavy machinery, handwork, and painstaking attention to detail. Block will be released in a limited quantity of 100 pieces, divided up between three different models for Apple’s range of notebook computers: Block 12” for MacBook (mid-2015 and newer), Block 13” and Block 15” for MacBook Pro (late 2016 and newer). Prices start from €3,200 (£2,806) and go as high as €3,600 (£3,157) for the largest model. Ever wanted a pair of earphones that are as well-suited for your ears as a pair of glasses are for your eyes? That's the ethos behind the new Even H1 Headphones, which feature a unique EarPrint technology that tests your hearing and calibrates the perfect settings for an audio paradise. The Even H1's design allows for up to 12 hours of continuous play time and are housed in the controller on the cords. After a simple two-minute hearing test you are all set with your own Even EarPrint. An enjoyable and comfortable listening experience with the lightweight genuine walnut earcups, the H1 Headphones are noise cancelling and also have tangle-free cords. So whether you love blasting your choice of tune while chilled out on the sofa, or prefer to listen to your favourite podcasts while on the move, these cups offer a personalised experience that's both unique and affordable. The Even H1 Headphones are available now for purchase and come with a price tag of only £200.